Wychwood is, and has been for over a hundred years, a day and boarding school for girls. We offer full, weekly and flexi boarding. 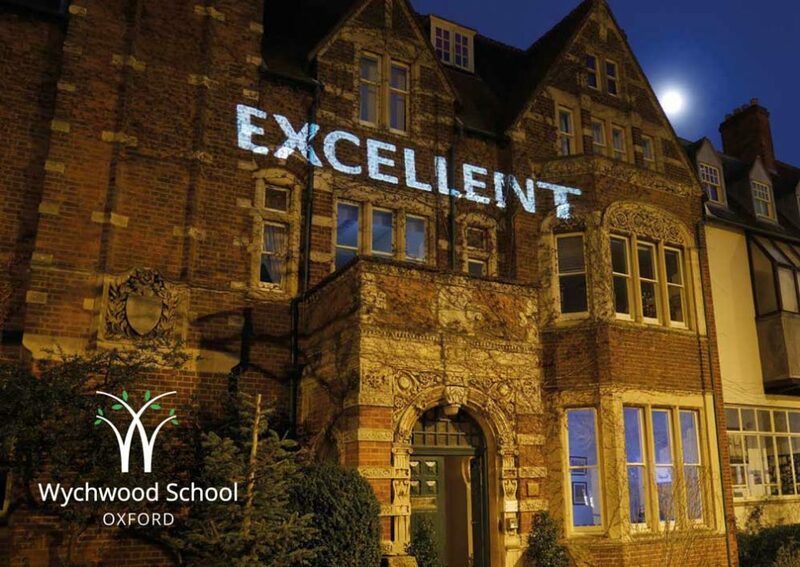 Wychwood provides boarders with a secure, safe and happy community where they can learn effectively and enjoy relaxed social times with their friends, feeling that they are cared for but allowed the personal freedom to grow, mature and develop as individuals. A natural part of the process of maturing is the learning from mistakes made in social areas and in response to rules and guidelines imposed by adults: our boarding community is a place where such mistakes can be safely made so that girls can grow in good judgement, tolerance, moral awareness and sensitivity towards others. Most importantly, when pupils board at Wychwood, they do not just join a school, they become part of an extended family. They have a sense of belonging and know that they are accepted as individuals; that triumphs will be celebrated and problems will be shared. When boarders arrive at Wychwood, they are registered with the NHS at the Banbury Road Medical Centre. If they become unwell or need medical advice, an appointment is made to see a doctor there. In the event that prompt attention is required an appointment can be made every morning for that same day. The doctor will prescribe medication where necessary and will inform the Housemistress of any medicine or care they have advised for each girl. We have two Houses at Wychwood – The House, in which the senior students are housed and 2&4 (so named after its postal address) in which the junior girls are housed. In each boarding house, there is a resident housemistress and a resident assistant housemistress – there is always a resident member of staff on duty 24 hours, 7 days a week. In a small boarding school such as Wychwood, good relationships at all levels and ages are of paramount importance. Equally important is regard for the safety of the girls, especially in a school that is in a city. We hope that our rules establish routines which ensure the girls’ safety and the security of the buildings at all times, but are also flexible enough to allow the girls to take advantage of the benefits of living in Oxford. In the many areas involving the girls’ increasing freedom as they grow older, we try to make decisions similar to those of a sensible parent with a daughter growing up in Oxford would. Every evening and at all weekends there is always an adult member of resident staff on duty overnight in each house. Girls meet to report to the staff on duty at bedtime, where there is an opportunity for all ages to chat informally at the end of the day. Wychwood has always valued the inclusion of teaching staff in boarding times; the girls therefore have access to a wide range of their teachers informally and socially though, in practice, the housemistresses undertake many of the late evening duties and are on call overnight. At weekends the teaching staff share the routine cover duties during the daytime, allowing the groups of girls to be taken out of school on activities or trips such as ten pin bowling, shopping, going to the cinema or to a museum or gallery. Housemothers and housesisters have an important part to play in boarding. The older girls learn the skills of guiding, comforting and nurturing those who are younger or new to the experience of living away from home. Girls change their companions and rooms every term, which allows for variety. Friendships develop during the term together and the girls learn tolerance, respect for others’ individuality and an ability to form relationships with others outside their peer group, which may be small in any given year. Senior girls learn to care for and advise younger boarders; younger girls have “older sisters” in the house who can give comfort if homesickness strikes, support when prep is difficult and provide a different viewpoint when there have been squabbles with friends in the form during the school day. The bedroom groups develop a considerable loyalty and bond. All then move on to new groups the next term. In this way most boarders of all ages have easy and natural relationships with older and younger girls. When voting for seniors to assume positions of responsibility such as becoming a Citizen or Councillor, a boarder will often comment appreciatively on a former Head of Bedroom. There are, of course, the usual ups and downs, sometimes with individual clashes of personality or more often with over-liveliness after lights out, but on the whole the system works well and instances of falling out are extremely rare because of the width of good relationships. In senior forms, common rooms and facilities are shared by boarders and daygirls alike and no distinctions are made during the school day except that daygirls are asked to respect the boarders’ privacy by not going upstairs into the bedroom areas. Friendships between boarders and daygirls develop naturally and there is no social division within the forms. Many daygirls stay for prep during the week and may, indeed, come in for Saturday prep at their or their teachers’ request especially at times of coursework. Daygirls and weekly boarders are welcome at weekends, either to use the facilities in areas such as Art, Textiles and Photography, or to spend time with their friends. They often join in with weekend outings and activities or accompany their boarding friends to town. In these situations, all girls follow the rules laid down for full boarders. We also offer Golden Ticket evenings where each boarding pupil invites one of their daygirl friends to sleep over. The evenings usually involve a special supper, a film, lots of games and some dancing. The Senior Housemistress and the Junior Housemistress along with the help of GAP girls (18 and 19 year olds, mainly from the UK, Australia or New Zealand) cover many of the boarding duties, but all full-time teaching staff also undertake weekly and weekend duties. The system has the advantage of involving all of the teachers in the extra curricular and pastoral life of the school community, whilst also providing continuity and an overview through the Housemistresses. “About a third of pupils’ board, a fairly even split between full and weekly or flexi. Parents’ book flexi boarding (usually 1-3 nights per week) at the start of term but school can, and does, accommodate pupils at short notice. Day girls can stay after evening activities such as trips to London or the theatre – bunk beds add to the sleepover excitement. We were told that news of major road works caused a spike in boarding applications – even fairly local parents appreciate the benefits when gridlock threatens Oxford’s already notorious traffic. When we describe the boarding as ‘homely’ it’s a compliment as well as a reality check. Years 7-9 have large first floor rooms– sash windows and high ceilings – with three to four beds in each. School says mixing the age group helps foster sisterly ethos; colourful curtains and duvets, bedside clutter and lots of family photos and posters add to the family feel. There’s wardrobe and under bed storage but no desks – homework takes place elsewhere under supervision.